Tornado Farm Escape Slots | Play Today and WIN Big! 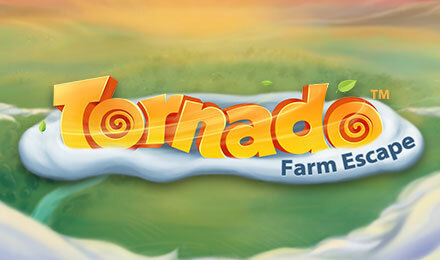 Play Tornado Farm Escape Slots and start winning great prizes and BIG jackpots! The 2 Bonus features will help you WIN big! Play today & Good Luck! Tornado Farm Escape slots is a 5 reel, 20 payline slot game that’s lots fun to play! All you have to do is line up the cute cartoon farm animals and start winning big jackpots! There are great Bonus features that help you reap more great rewards! The T.V. Wild symbol will replace almost any symbol to increase your winnings! Also, the exciting Storm Bonus feature adds loads of Wilds to the reels to help you win even more! Start playing Tornado Farm Escape slots today and enjoy great prizes and big jackpots! Good luck!